Was the passage of the Objectives Resolution in 1949 among the blunders of Pakistan's early leaders? Did it distract from framing an inclusive and unifying constitution of the nation-state? Did it promote religious discrimination and extremism in the country? Was the 2nd amendment to the 1973 Constitution declaring Ahmedis non-Muslims a logical consequence of it? Did the failures of Pakistan's political class open the doors for military coups starting with the 1958 coup led by General Mohammad Ayub Khan? 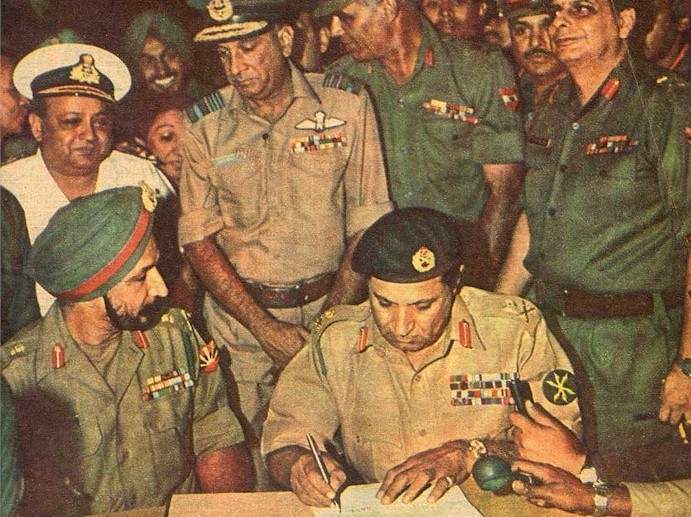 How did the military coups led by General Yahya Khan, General Zia ul Haq and General Pervez Musharraf impact Pakistan? Could these coups have been avoided? What led to the loss of Pakistan's eastern wing and the creation of Bangladesh in 1971? Was it a political failure or a military failure? Was it orchestrated by India with the help of Shaikh Mujib ur Rehman starting with Agartala Conspiracy in 1960s? Was it a blunder for Gen Zia to join the United States and Saudi Arabia in support of the Afghan Jihad against the Soviet Union in 1980s? Did it promote militarization of religious fanatics in Pakistan? Was it a mistake for Benazir Bhutto to give birth to the Taliban? Did Musharraf blunder by siding with the United States after Sept 11, 2001 terror attacks in America? What was the alternative? Would the porous Afghan-Pakistan border allow Pakistan to be a silent observer? India had a population of 10 times more than Pakistan in 1947. Almost 40 million of then were muslims, who were supposed to have migrated to pakistan but stayed back. 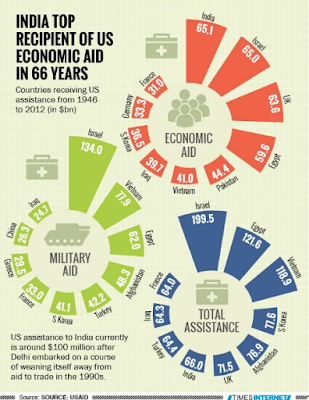 So the Aid given to India is very miniscule compared to what Pakistan received, per capita wise. It is about 8 times less. That way Pakistan is a huge benificiary. Also pakistan benifited cron the property left behind by Hindus. Before being chased away, they were holding 75% of Pakistan economy. So in my opinion, Pakistan had really good start. But their enmity towards India destroyed it totally within. Instead of moving ahead, they are stuck in 1947. They must wake up before it is too late. They are committing mistakes after mistakes. CPEC is an example. Hindus appear to be worried by the encirclement of India by China. Hindus are covetous of the mineral resources and desire to take over the Muslim lands of central Asia and middle east. Pakistan stands in its way from their nefarious design to dominate Muslim lands. Sure India is several times bigger than Pakistan but you forgot the fact that India was colonized for a larger amount of time and thus the infrastructure and educational institutes were well developed. Whereas Pakistan had only five factories and only two major towns. You would be well advised to read some history. Pakistani state started with nothing. Our elders tell us that the government offices didn’t even have pen and paper to write. Makes me wonder how much the “fleeing Hindus” stole. In ten weeks between June 3rd and august 14th, and overwhelming majority of businesses that were based in Karachi moved to Bombay. So the properties that were left behind had no buyers, because no one had money to spend. Every time you start a friendly conversation with an Indian, it takes them seven minutes to mention that partition was wrong and you have the audacity to say that Pakistanis are living in 1947. I think time has come for Indians to come out of this victim mentality and start acting like adults. Mikael Mayet: "Hindus appear to be worried by the encirclement of India by China. Hindus are covetous of the mineral resources and desire to take over the Muslim lands of central Asia and middle east. Pakistan stands in its way from their nefarious design to dominate Muslim lands." India has no nefarious designs in Central Asia. Don't have any problem with them. If Pakistan wasn't there, our trade relations with them would've been much better benefitting both.